Conferences, concerts, theatres, festivals, sports events. Our fee is 3.5% of ticket sales, this includes all payment processing fees. Fienta sells your events online while leaving you in total control of the process. 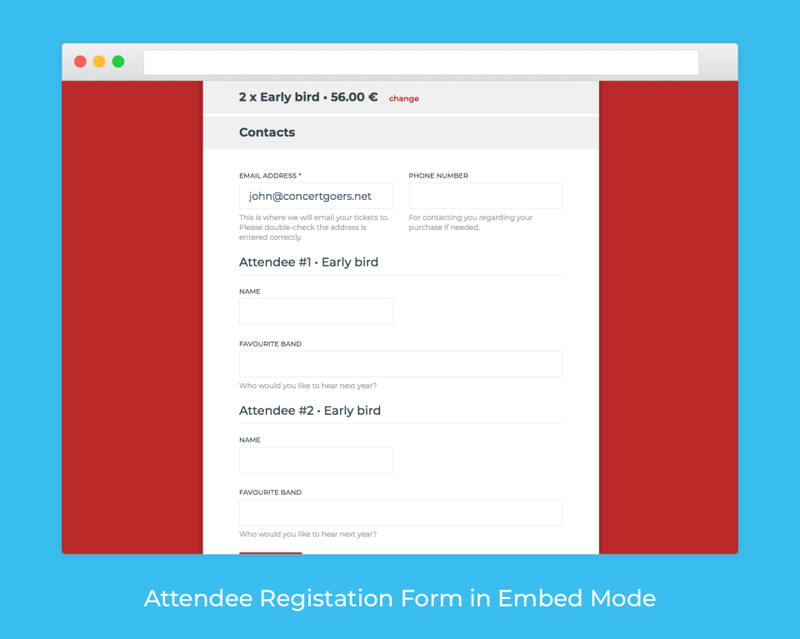 Keeping fees low and your customers information accessible, it lets you set up your events quickly and easily. You always know your customers, get your buyer data, and with our analytics tools, you can optimise as you go. Slick and quickand you only pay if you make money. Pros: It's super easy to use, works perfectly, and the customer support is amazing. Price is really low for the great service you get. Cons: There are some more features needed to be installed, however the improvement Fienta makes is amazing. You can see them growing and making their best to become better every year. Overall: Fienta saved our event. 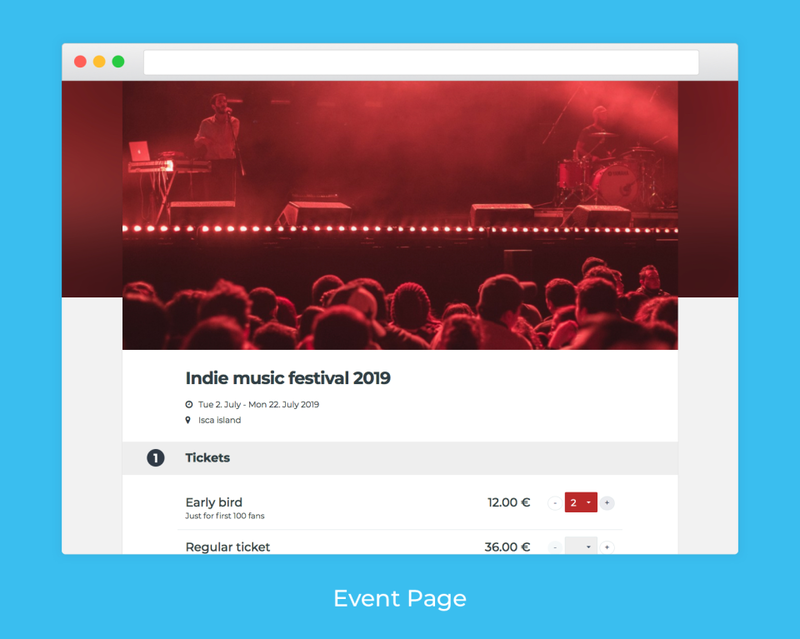 We needed additional features to have attendees' registration and no other ticketing platform supported us, but Fienta did everything to help us. They've added additional features, customised registration page, answered every question and took care of everything. You can really trust Fienta. We're using it for 2nd year and it's a completely flawless experience. Dear Ida, thank you for being with us and for all the feature requests which has helped us to grow in right direction! Pros: Easy to use tool that takes care of all my needs when selling conference tickets. The team is super responsive and everything just works or will work shortly after you let the team know what you need. They even work with your clients when the client needs help. Payment options are all there. Cons: I don't like that the software is so easy to use. Leaves me with the feeling that I'm not working at all. No stress no nothing. Like a vacation and the money keeps pouring in. 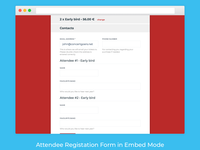 Overall: We sold our conference tickets through an Woocommerce solution. This left me with a lot of manual work. I had problems with VAT, online payments, and invoice payments. Our event has around 200 participants and I spent 70 hours on ticketing. Now, with Fienta, it's less than a third of that. We continue to use Fienta for all our events. Dear Priit, thank you for the review! We'll do our best to keep the bar hight and come up with some exciting new features soon. 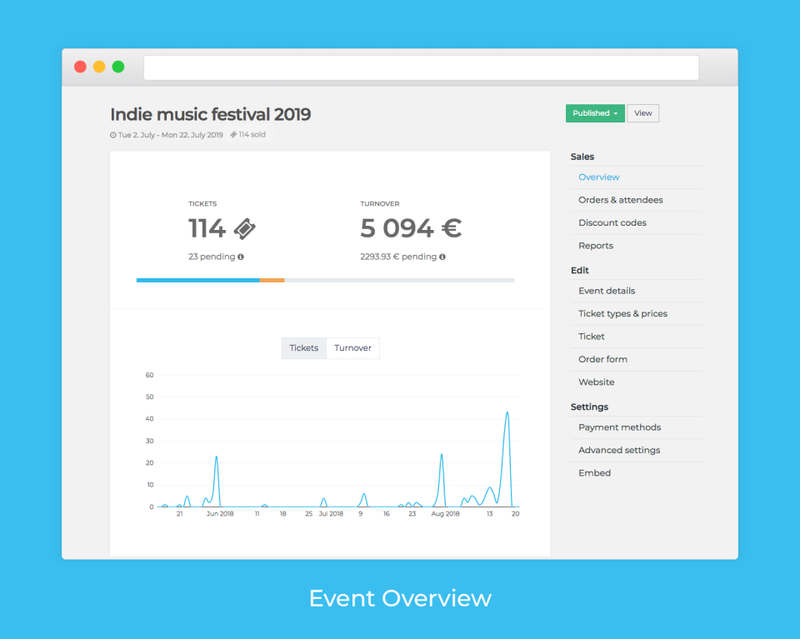 Pros: That we can setup the event when we want and with a variety of ticket options, discount codes and all with specific date validity options. We can easily check tickets at the event and no-one has to print out a single thing. Cons: Would have liked this software to have been around a long time ago! Overall: Fienta have enabled us to take control of how and when we ticket. And to be able to see varied and detailed reports. Customer service has been quick and easy. Lots of thumbs up. Hello Dan, thank you for all the nice words and for taking the time to write us the review! Pros: Attitude. People of fienta were always there to help. I would call that extremely helpful. Those guys are ready to stand for you, as you are in their team. And it's charming. Cons: Everything works fine, but there are still some gaps, which marketers would like to see: tracking pixels, extended discount systems, affiliate systems etc. However for the general usage its just perfect. Dear Ruslan, thank you for all the kind words and for the review! We will definitely try to implement the features you mentioned. Pros: The ease of use, customer support, functionality and features, great reports, different payment methods and best price. 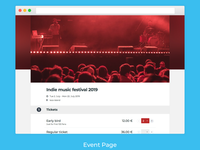 Overall the complete ticketing solution for different kind of events. I would strongly recommend! Cons: Always possibility to add few more elements and features. 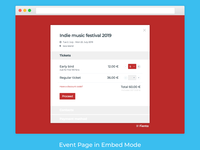 Overall: We were looking a ticketing solution for our events. It was necessary that it would be easy to use for customers and admins. You can set up everything by yourself, you have great overview of the event (different reports) and you can check all the tickets at the gate with Fienta app. Additionally I would like to brought out the costumer support, which has been really helpful for setting up event most complicated events and ticketing solutions. Response time is great! Dear Raul, thank you for the review! Overall: Everything's fast, correct and developing in the right direction. It's been a great financially and marketing-wise. Hello Paul, thank you for the review! Your feedback is really valuable. Some of this, like cancelling tickets and making refunds, we already implemented. Others are added to our product log and we will let you know once any feature you mentioned is ready for use. Pros: I used Fienta for Tech Conference event and the most impressive were full DIY approach, flexibility and remarkable easiness. Cons: I actually can't remember anything specific atm. Overall: Setting up my event was a total breeze. I saved time and did not even had to ask anything from customer support, simple and easy experience. Having an option to offer automatic invoice to my attendees was also a nice surprise bonus. Thank you for taking time to write this! Pros: Online admin interface is very easy to understand, while including almost everything our organization needed. 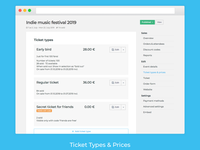 We could add new events, ticket types and discount codes right after registering. 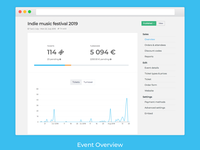 Ticket sales include analytics about the customers. Adding inline ticket sales to our website took less than 15 minutes with the help of customer support. We ran into some bugs at the start, but Fienta was very easy to reach and managed to fix the issues in just a few hours. Cons: No support for seating charts and multiple-use tickets (e.g season passes). Hi, thank you for the feedback and review! Seating charts and multiple-use tickets are something we definitely plan to implement. Regarding the scanner/check-in app, we just released a new version. Please let us know if it misses a feature you are looking for. Pros: I like how easy it is to use the system and to modify it to one's needs. You don't have to use all of the possibilities but they're there for you. Also, I've needed help with a technical thing just once and I got it very fast and accurate. Cons: I like the software. I'm just hoping it gets more and more popular soon so that it starts to work as a marketing platform a bit by itself as well. Dear Rahel, thank you for the review! Pros: It is really easy to use and good value for money. Also, I like that you can link it with your website so that the customers can purchase tickets right there. Cons: I wish there was a "basket" function so that you could buy multiple tickets at once by adding them to your basket first. Thank you for the feedback and feature request! Cons: I don't think there was anything that stuck out, we found a solution to all our questions. Overall: We are a small not for profit club, Fienta is ideal for managing payments for our events. The service was especially notable, friendly, very fast, and simply outstanding, can't say enough good things about that. Pros: It's so simple that even our economics girls didn't have troubles using the program. At the same time, Fienta can offer all the necessary features and top level customer support. Cons: As it has all the necessary features, there's still much to improve on design and new features. 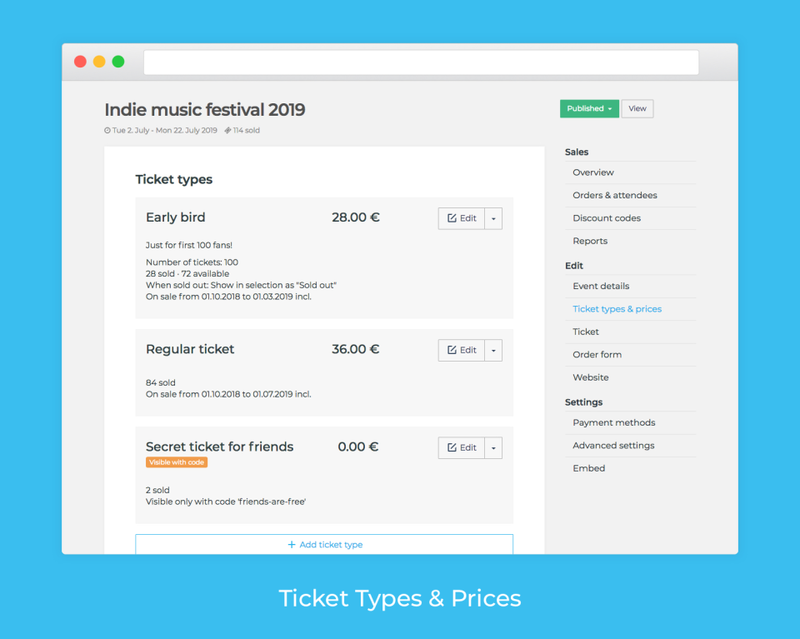 Overall: We wanted a simple ticket selling platform with few special requests and got more than needed. Amazing. Dear Johann, thank you for the review! Pros: Excellent and very responsive client service, rather low fees. Cons: Some options are difficult to find from the menu, but it's not a major nag. Hello Kristjan, thank you for the review and feedback! 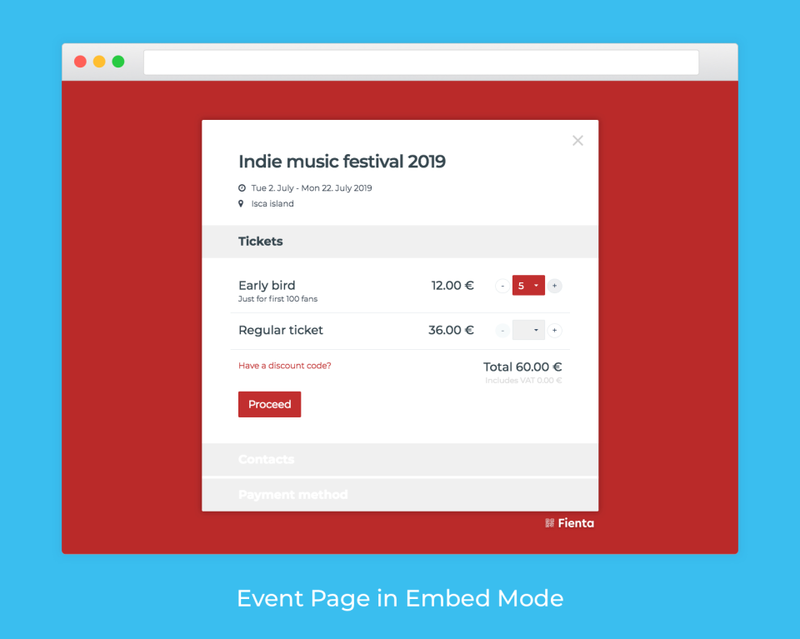 We do plan to change the menus and navigation a bit to make it more clear of which settings and reports are global to your account and which apply to a specific event. Pros: I built my registration form in no time and then the event info and... nothing else. Just publish! And the support is immediate. Hello Roberto, thank you for the review! Hello Silver, thank you for the feedback! Hello Samuel, thank you for the review! New payment methods is definetly something we plan to add this year. Pros: Easy to use both for us and to our clients. Hello Helene, thank you for taking time to review us! Pros: This was my first time using any ticketing software but everything was really clear and easy to use. Cons: Had to confirm our bank account via bank transfer. Their customer support explained it was necessary to avoid scam and protect my account. Don't know if it's a standard procedure with this kind of systems. Overall: Overall we were happy with the system, our buyers did not have any questions, tickets were received and we got our payment on time. Thumbs up! Quick setup, easy to use. Pros: Continuous scan makes it easy to deal with a massive audience. Cons: The app could have support to send information to ticket holders (via. Email or sms). Overall: Fienta makes organizing our events much easier and has made the experience more streamlined. Integrating it to our website was quick, easy and onboarding customers is much more convenient. Hello Lauri, thank you for the review! Pros: Easy to use and it saved a lot of time for me. Different pricing options and possibility to use discount codes. Event page looks very professional. Cons: I don't have anything in my mind what should be different.